Want to attend a Food Truck Event? Have you always wanted to attend a food truck event, but weren't sure what to expect? 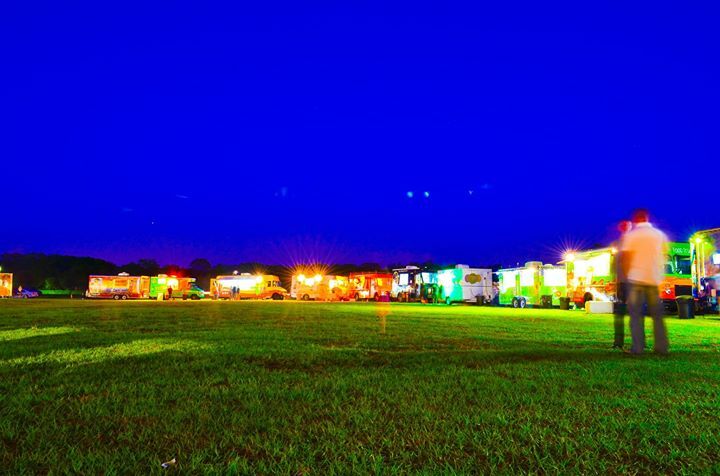 One of our most popular events is the monthly Downtown Lakeland Food Truck Rally in Munn park. Here, we are answering some of our most frequently asked questions regarding this event! 1) What is a food truck rally? A: A food truck rally is a gathering of food trucks in a public space, where the community is encouraged to come check out a variety of cuisines and socialize. It's a great way to try something new, while supporting local small business owners! 2) Can I pay with a credit card? A: Yes, unless encountering technical difficulties the food trucks are equipped to accept both cash and credit card payments. 3) Are the events family friendly? A: The monthly Lakeland Food Truck Rally is always family-friendly, and children are welcome! 4) Can I bring my dog/lawn chairs? A: Yes! We welcome friendly, leashed pets in Munn Park. All we ask is that you come prepared with baggies to pick up any accidents that may occur. Lawn chairs and/or towels to sit on picnic-style are also welcome. 5) Where can I park? A: Upon arrival you will see some of the side streets are closed for the food trucks to park directly adjacent to Munn Park. You are welcome to park on any surrounding streets, following the usual traffic laws. 6) Is alcohol allowed at this event? A: No alcohol will be served in the park, and we ask that you do not bring any on site, however there are a variety of restaurants surrounding the park that serve beverages that can be consumed on their premises before or after you visit the food trucks. We recommend Black and Brew, Posto 9, and Harry's Seafood! 7) Are there any vegan, vegetarian or gluten free options? A: Most trucks can accommodate dietary restrictions in some form or another. Your best bet is to inquire prior to the event so that we may point you in the direction of specific trucks. But when in doubt, peruse the truck menus and then inquire at the window if a dish can be adapted. 8) Is there any entertainment? A: Each month we either bring the TBFTR mobile DJ truck (which is also available for rent at private parties) or a local musician. The event will host some form of music as you enjoy your food. 9) Do I have to pay admission? A: No! Entering the park is free, the only charges you will incur is if you choose to purchase food or beverages. You are welcome to stay for as little or as much of the event as you would like, however the trucks close down at 9pm. 10) How do I get invited to participate as a vendor or sponsor? A: For more information, please call 813-464-5600 or e-mail Michael@tbftr.com.